What MSRM repeater can help you? MSRM wifi repeater extends your existing Wi-Fi coverage throughout your home or office,creates faster access for 802.11 ac/b/g/n and AC Wi-Fi devices ,creates access points in your home or office and improve Wi-Fi coverage,is dedicated to long distance wireless network solutions, which is a revolutionary design with its features of conciseness, quality, and flexibility. 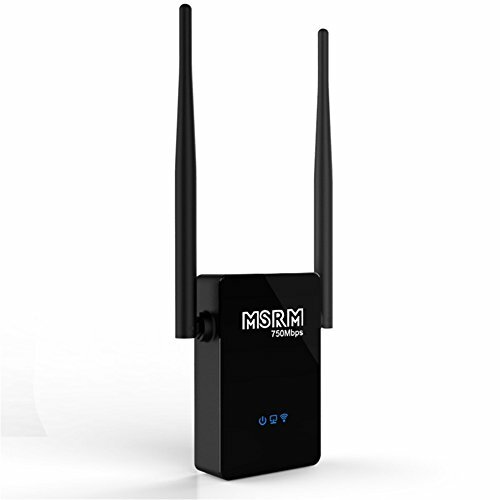 It features internal Dual-Polarized Antenna,high output power , can deliver a more stable wireless connection and reduce the expense of equipment. 5.Can extend the Router's WIFI signal to Longer Distance,through all of your walls in your home,so that let you have WiFi signal in "dead zones"